It’s been a big couple weeks at Sprosty Network: Our vision to move promising startups to scale with major retailers is ramping up dramatically, as we launched our first RetailXelerator (RX) class. Eight startups, selected from a pool of more than 700 applications and all focused on Smart Home technologies, are in our virtual weekly course to get smart on retail best practices, and prepare to pitch their products in 12 short weeks to the buying decision-makers at Walmart, Amazon, Verizon, and Sears. The RX program is one of the many ways we are addressing the very real skills gap that face most startups today: Retail readiness. On the one hand, it’s never been easier to launch a startup, even one based on products or hardware. Why? Over the past 15 years, a host of “support services” has emerged to address common startup needs- from AWS and cloud storage/services, to crowd funding, to outsourced manufacturing, to leverageable software platforms, to “founder” accelerators and funding models. We also have entertainment entirely built around the idea of starting and growing a business – think “Shark Tank.” Together, these services and more provide the foundation upon which any entrepreneur can build virtually any type of company. And they’re indeed being built – and funded. This explosion of startups is most evident on the pages of Kickstarter, Indiegogo and Fundable, where thousands of startups are raising money, delivering their first product, and testing “market fit.” It’s a great time to be a startup… or is it? The truth is, roughly 75% of startups today will fail. According to Harvard Business School, 40 percent of these startups – the same managing killer crowd funding campaigns – will fully liquidate and lose most or all funds raised. So while there are more startups than ever, there is a bottleneck at a critical stage in their growth. Our theory is a simple one: A key reason they get stuck, and end up failing, is that they don’t have the access to broad national distribution, nor the knowledge on how to maximize that access. 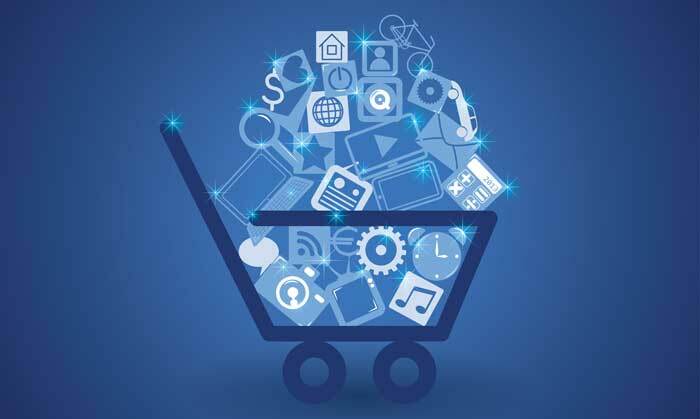 Here’s why it matters: The U.S. Department of Commerce indicates that approximately 97% of consumer products are sold through traditional mass retailers with both bricks and motor locations and online (websites/mobile commerce) channels. So it’s not the first startup to market with a product that wins; rather, it’s the first startup to scale that wins (thank you Reid Hoffman). And to scale, the product needs to be in front of consumers – and that means, it needs to get to retail. There are indeed startups that aspire to “scaleup,” to crack the code of retail and capture mass sales. Sounds easy, right? But from the retailer point of view, it’s harder than ever to pay attention to early-stage companies. The bottleneck goes both ways. A typical retail buyer’s day can be viewed as a sequence of meetings, with a deliberate measure of “return on time.” Should a buyer take a meeting with Sony, or Apple, or P&G – vendors with high volumes, customer demand, and traditional retail experience – or take a sequence of meetings with startups that may or may not work out for range of reasons? There is a key factor that sways the answer to this question. Buyers have learned that many of the product startups are not well prepared to work with retail. Since so many of them have raised funds through crowdfunding, they often haven’t had the traditional venture capital mentorship and assistance that would help prepare them for that first critical retail buyer meeting. This is further complicated when so many startups are often led by first-time entrepreneurs, who are largely unaware of the tremendous opportunity – and peril – that national retail represents. So, to sum it up: Massive startup launches; little to no retail readiness knowledge; and buyers with little time to sort through the startup landscape to find the proverbial needle in the haystack. It’s a messy landscape. This is precisely why we’ve launched RX. Being anchored in retail, we have the ability to find startups that retailers will want to meet, provide them with coaching, arm them with knowledge, and get them ready for retail. We also have a strong track record working with the retailers themselves, from lab stores to startup contracts and distribution arrangements, to make them “startup friendly.” So we’re helping both sides – the startups, and the retailers – get traction, stay competitive, and win. Because winning is, at the end of the day, what both startups and retailers want. We’re excited to see where our first Smart Home startups will be 12 weeks from now, as they demonstrate their own retail readiness to the big decision-makers. Want to follow the RX class and learn more about scaling to retail growth? Check out the RX Podcast – first episode here, and future episodes will post soon.